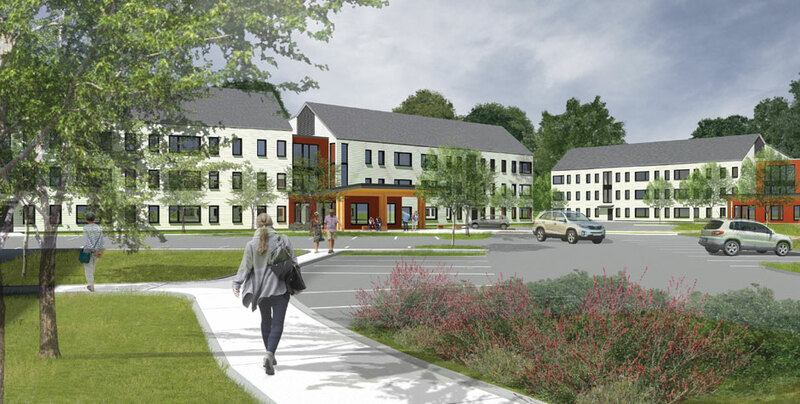 The currently vacant sites located at 89 and 92 Preston Road in Griswold, CT are slated to become Griswold’s newest apartment community — Oak Tree Village. Dakota Partners’ latest project will build 144 units of multi-family housing on approximately 18.5 acres, constructed over two phases. Both phases of the project will consist of 72 apartments within 2 three-story garden style buildings. Phase I will also include a clubhouse for residents to enjoy. Construction on Phase II will commence shortly after the construction on Phase I is complete. The community will offer a mix of one- and two-bedroom, open-concept style apartments to a mixed-income market. Residents will benefit from the many public transportation options available in close proximity to the community, including a proposed Route 8 Southeast Area Transit (SEAT) bus stop at the entrance of the property. 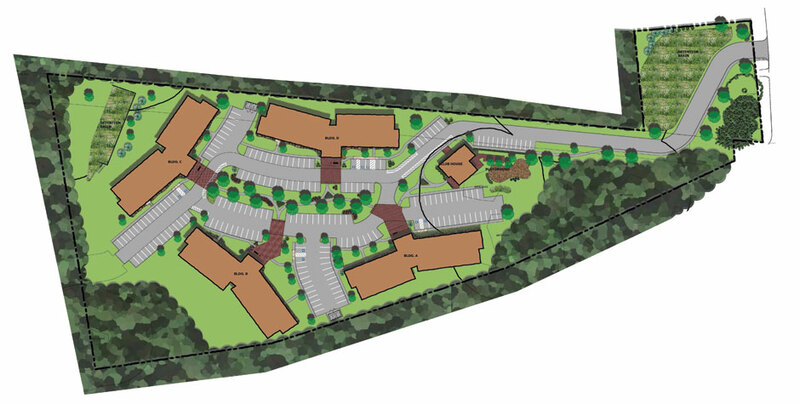 Commuters needing access to Route 395 will find Oak Tree Village’s location paramount with an access ramp just outside of the community. For those interested in local entertainment and amenities, Downtown Griswold is currently undergoing revitalization efforts and is less than one mile away from the community. Construction is expected to begin Fall of 2019. First residents will be welcomed into the community at the end of 2020.